This guy, at 18, has played in every big club in Ibiza you can possibly think of, has a North American tour coming up and has already toured europe. Garnering support from the likes of Fedde Le Grand and Hardwell. I can tell you now, having seen Danny live at the Ministry of Sound, it was apparent that he was going to be big. His knowledge of music for an 18 year old guy was mindblowing, playing one of the most diverse sets I have ever heard, as well as digging back to tracks from the 90's/2000's, pretty impressive if you ask me. 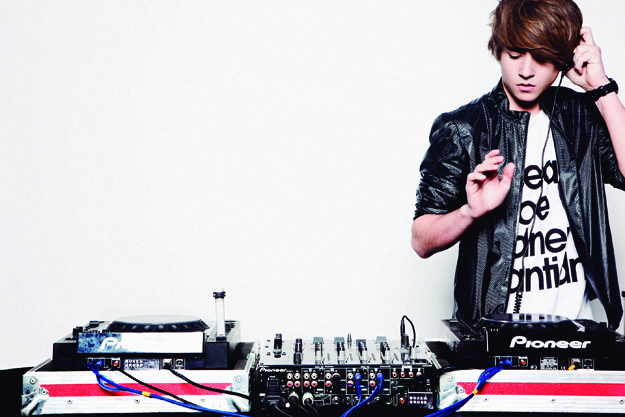 I'm gonna go out on a limb and say that he's the best up and comer (yes, I think he's better than Madeon). If you wanna know more about the youngster, he was also the 2nd best wakeboarder in the world for his age division, and then decided to do it as a hobby to pursue his DJ'ing career. His father was an interior designer for nightclubs in Ibiza, which is how he got into the scene, being let into clubs at 14 he quickly learnt the business and how to DJ. Fedde Le Grand then saw him as somewhat as a prodigy, so he decided to take him under his wing to teach him producing and let him play over his whole European takeover. I have a lot to say for this guy, and I tell you now it's all for good reason. Check the most recent mix he just made for DJ Mag! The first song of the mix is his unreleased track entitled 'Breaking Your Fall'. 0 Respones to "The Spotlight: Danny Avila"